Q: What steps can you take to reduce drowsy driving incidents involving your employees? A: First, I hope that drowsy driving is on your radar of safety concerns. This should be something that is company-wide and not just focused on those who drive for part of their job. You can start by educating all employees about the importance of sleep. Encourage and empower your employees when they are tired to pull over and take a quick break. 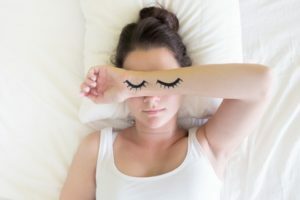 Adults need an average of seven to nine hours of sleep each day to reach peak performance levels, according to research from the National Sleep Foundation. Yet, in a National Health Interview Survey, 30% of respondents said they average less than six hours of sleep. Last year in Texas, drowsy driving was a contributing factor in 9,704 crashes, according to the Texas Department of Transportation. That’s more than one crash every hour of every day, and nearly one-third of those crashes resulted in injuries. Poor sleep can lead to a number of health issues that can impact job performance and driving skills. Chronic sleep-deprivation causes depression, obesity and cardiovascular disease. According to the AAA Foundation for Traffic Safety 2017 Traffic Safety Culture Index, 3 in 10 motorists admitted to driving when they were so tired they had a hard time keeping their eyes open at some point in the past month. Use the NSC Fatigue Cost Calculator to get a tailored estimate of how much fatigue is costing your workplace. 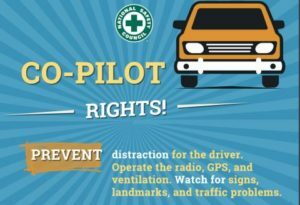 Get helpful links and free resources to prepare for Drowsy Driving Prevention Week from the National Highway Traffic Safety Administration. A final thought: Some national and state sports teams monitor the sleep of their athletes, as they know that peak performance is tied to sleep and fatigue, so if it’s good for sports athletes, shouldn’t it be good for employers? Both are looking at the bottom line. One day, Gary Gattis discovered a safety message on a “Live with Lisa” cybercast. He was captivated, not so much by the face of the Our Driving Concern program, but rather the message delivered by National Safety Council Senior Program Manager Lisa Robinson. Gattis, a training specialist with the City of Austin’s Public Works Department, wanted to meet with Lisa and talk traffic safety. Gattis pulled in Austin Public Works Department Safety Manager Mike Bewley. In February, the three discussed broadening the scope of the department’s transportation safety program. Bewley said 89% of non-CDL drivers now have been trained, and he hopes to reach 100% this month. He also initiated a training program where one-third of drivers take defensive driving every year, both as a refresher and to keep current with city policies. Robinson encouraged Bewley and Gattis to think more broadly to impact and change crash rates. Her reasoning: You can’t just offer a course once every so often. The focus, the effort, has to be ongoing and directed at anybody who may touch a vehicle – personal vehicle or company vehicle. He is analyzing collision data and working to identify patterns. For instance, he said the Public Works Department discovered 17% of its collisions occur between 7 and 10 a.m. The data will steer Bewley and his team toward development of safety solutions. Your Turn: Tell us what you’re doing to drive culture change at your workplace. You could be featured in an upcoming Our Driving Concern eNewsletter. Take this brief survey and provide us with feedback on what and how Our Driving Concern is benefitting your company. Or sign up for a free training session. In an airplane, the pilot is the captain. He is responsible for the flight, the crew, the passengers and the aircraft. If something happens to the captain, the co-pilot takes over. Up to that point, his job is to serve as an assistant – sort of second set of eyes and ears. He might be assigned to communicate on the radio or work navigation systems. Get it here: Co-Pilot Rights. This is a great way to empower your employees to speak up and look out for the safety of their co-workers. We have added a Google translate tool on the right side of our webpages. The program allows you to read text in English or Spanish. Example: Click the translate button and read our eNewsletters in Spanish. 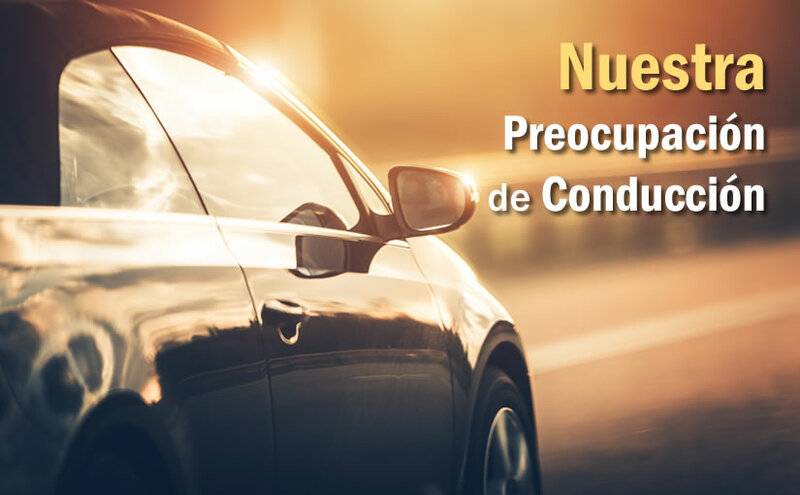 We have searched the archives of trusted partners for Spanish traffic safety materials and compiled a list of free resources to share at your location. Thirteen is the lucky number. 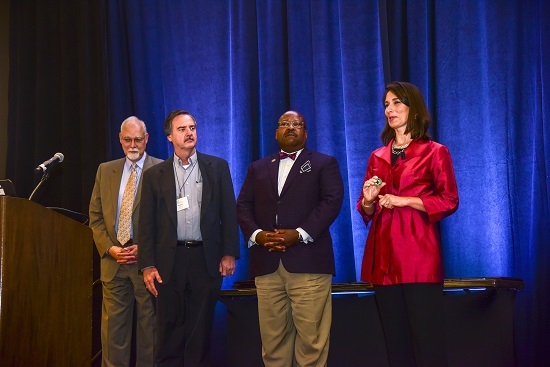 In August, the National Safety Council recognized 13 Texas employers with Texas Employer Traffic Safety Awards through its Our Driving Concern program. The 13 recipients were recognized at the Texas A&M Transportation InstituteTraffic Safety Conference in Sugar Land. Award recipients ranged from businesses with as few as 40 employees to as many as 20,757, and from nonprofits to municipal organizations. Employee education, training and other activities centered on traffic safety were considered in the evaluation process of applicants. Our Driving Concern Senior Program Manager Lisa Robinson will be a panelist at the Substance Misuse Prevention Workforce Summit on Tuesday, Sept. 25, in McKinney. She will discuss how employers can develop or enhance drug-free workplace programs designed to enhance safety on the job and behind the wheel. In addition, Our Driving Concern Master Trainer Cindy Leonard will staff an exhibit booth and point visitors toward free drug impairment training. The goal of this educational opportunity is to help employers reduce costs associated with impaired driving crashes while also saving lives. Registration is free until Sept. 18. The cost at the door is $25. Our Driving Concern webinars feature knowledgeable practitioners presenting the latest trends and information on a wide range of safety topics. The idea is to help you incorporate best safety practices at your workplace. Next up: How to Build the Ideal Roadside Emergency Kit. 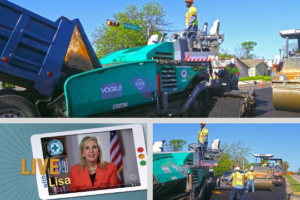 Join us at 1 p.m. on Tuesday, Sept. 18, for a discussion with Oklahoma Safety Council training manager Betsey Kulakowski on why it is important to prepare your workforce for roadside emergencies. Kulakowski also will talk about what equipment should be stocked inside every vehicle’s trunk or gear box. Hiding in Plain Sight: In this 30-minute webinar, Our Driving Concern Program Coordinator and Master Trainer Cindy Leonard discusses what free resources are available to assist in identifying problems with substance use in your workplace that might be hiding in plain view. Why You Should Maintain Your Company Vehicles: Oklahoma Safety Council training manager Betsey Kulakowski discusses keeping your company vehicles in roadworthy condition to reduce cost, mitigate risk and most importantly keep your drivers safe on the road. 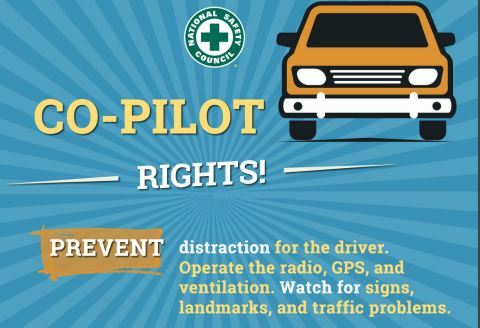 While DUI-alcohol crashes still account for about one-third of all traffic fatalities nationwide, many safety professionals have shifted their attention toward drugged driving. 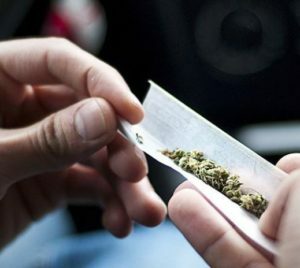 One reason: The National Highway Traffic Safety Administration reports the number of drivers killed in crashes who tested positive for marijuana doubled from 2007 to 2015. Medicinal marijuana is legal in Texas, and there is talk of legalizing it for personal use, too. Studies show marijuana impairs psychomotor skills (movement, coordination, manipulation, dexterity, grace, strength, speed). Many of these skills are essential for safe driving. NHTSA launched a campaign this summer to draw attention to the risks of drugged driving: If You Feel Different, You Drive Different. Do you know an individual who should be recognized as a Texas Impaired Driving Safety Champion? An organization? Well, here is your chance to nominate them for recognition through the Texas Impaired Driving Task Force awards program. Any Texas law enforcement officer, prosecutor, educator, advocate, employer or organization that has made a substantial impact in addressing and reducing impaired driving in their community or across the state is eligible. The deadline to submit nominations is Sept. 30. Fill out this form: Texas Impaired Driving Safety Champion Award. Did you know? What about your employees? 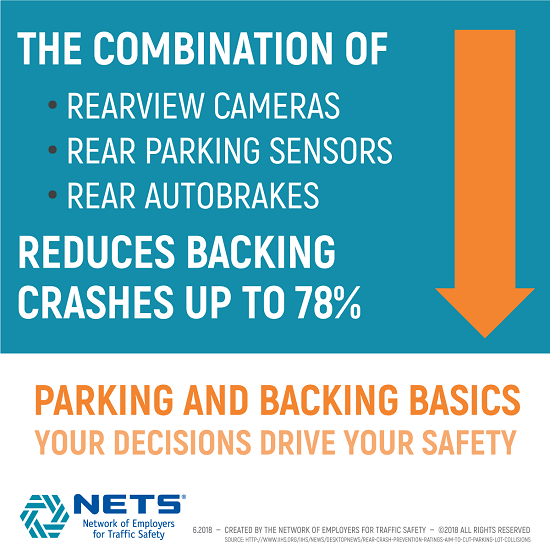 According to the Insurance Institute for Highway Safety, 20% of all reported vehicle crashes occur in parking lots. In 2015, an estimated 2,125 people were killed and 95,000 were injured in crashes that occurred off public roads (generally in parking lots or driveways), according to the National Highway Traffic Safety Administration. Get the tools: NETS Parking and Backing Basics Campaign Materials & Graphics.